Researchers have just discovered that flavonoids extracted from common onions slowed the rate of colon cancer growth in mice just as effectively as a chemotherapy drug. And while the mice on chemo saw their LDL cholesterol go up (a possible side effect of that drug), the mice on onion extract actually saw their LDL levels drop. 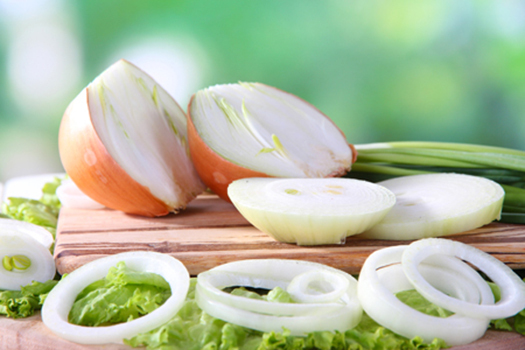 Onion flavonoids slow colon cancer like chemo drug! In this study, researchers fed three different doses of flavonoids extracted from onion, an oral chemo drug, or saline (as control) to mice along with a high-fat diet. The fatty diet was used to induce high blood fats and cholesterol (hyperlipidemia), since that is a major risk factor for colon cancer and many human colon cancer patients have this condition. The highest dose of onion extract slowed the growth of colon tumors by 67% compared to the controls after three weeks. The mice on chemo had their cancer growth slowed slightly more, but there was no statistically significant difference compared to high-dose onion extract. However, there was a major difference in the side effects experienced by the mice. 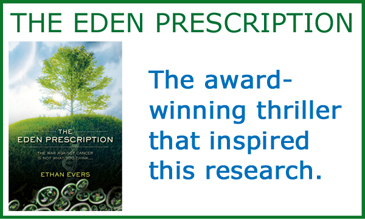 Chemo drugs are known to carry some serious side effects, and the drug used in this study was no exception—over 100 possible side effects are known including coma, temporary blindness, loss of ability to speak, convulsions, paralysis and collapse. It is also known that the chemo drug may induce hyperlipidemia (high cholesterol and/or triglycerides) in humans and that is exactly what happened with the mice—their average LDL cholesterol levels went up significantly. Not surprisingly, onion extract had the opposite effect and significantly lowered the mice’s LDL levels. More impressively, the mice getting onion extract had total cholesterol and apolipoprotein B levels that were markedly lower (as much as 60% lower for each) than controls on the high fat diet. None of this is surprising. Onions are known to have the ability to decrease blood fats, and in a recent placebo-controlled clinical trial, onion skin extract significantly lowered total cholesterol, LDL cholesterol and the atherogenic index in healthy young women after just two weeks. But how much onion do we need for a beneficial effect against cancer? Unfortunately, the authors in the study on mice did not disclose what quantity of extract was used. However a recent study out of Europe gives some clues as to what dose of onions may have a meaningful anti-cancer effect. All of these risk reductions had statistical significance, except for breast cancer which was borderline (P=0.08). Once again, we see that the healthy, whole foods we commonly eat can have a major impact on our health and cancer risk, if we just eat enough of them. Perhaps food really is the best medicine.